This hand turned stoneware Chip & Dip in our Lana Gran glaze pattern looks wonderful on you bar empty or full. Durable enough to endure any party. Easily cleans in your automatic dishwasher. it measures 10 inches across the outer bowl rim and 4 inches high. 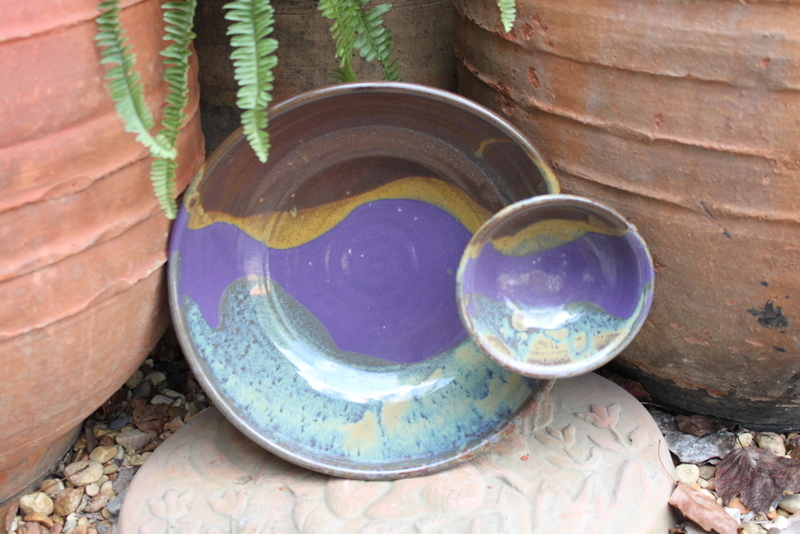 The inner dip bowl is 5.5 inches across and 3 inches high. Holds hot or cool dips and plenty of room for lots of your favorite chips. Dip bowl holds about 1.5 cups of dip.